This Laura Dern Star Wars Interview is part of my coverage of the #TheLastJediEvent I attended on behalf of Disney. This post is sponsored, but all thoughts and opinions are my own. Huge thanks to Disney and Louise (MomStart.com) for the photos. STAR WARS: The Last Jedi opens in theaters on December 15, 2017, which means the countdown is on! 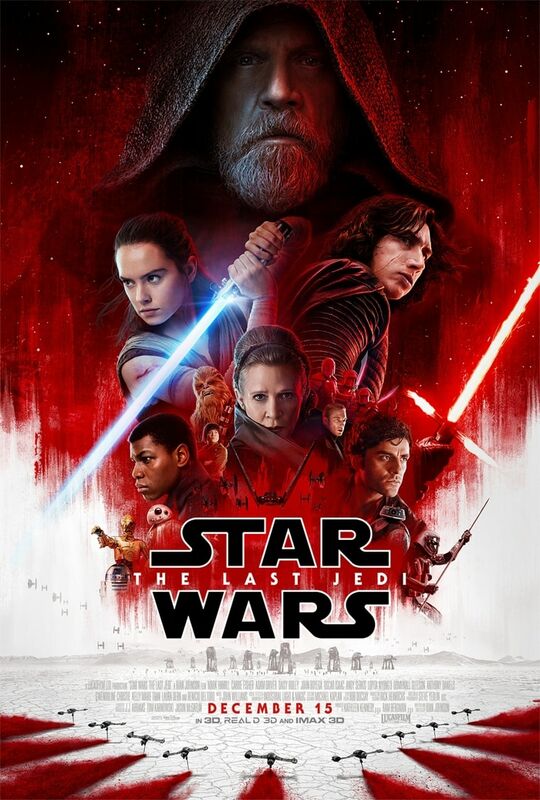 As part of the The Last Jedi Press Event, I attended last weekend, I had the opportunity to interview some of the cast of the movie. While they couldn’t tell us much about what happens in the film (no spoilers here), we did get some amazing insight into the movie and their characters! If you want to get a peek into what else happened at the event, be sure to check out my Star Wars Episode VIII press day recap! 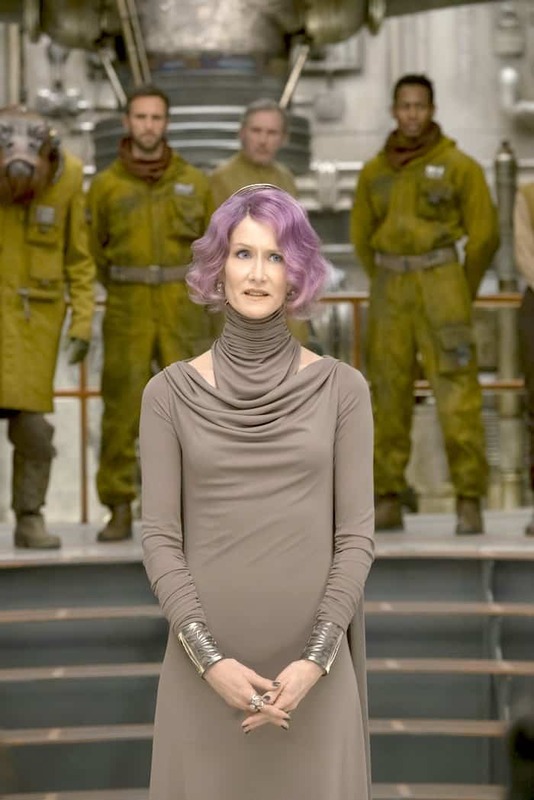 Laura Dern plays Vice Admiral Amilyn Holdo in STAR WARS: The Last Jedi. We asked her to tell us a bit about her character. Her answer sums up the way most of this Laura Dern Star Wars interview went but it definitely had us all laughing! Without giving anything away, can you tell us about your character? She shared that there’s a new boss in town and her character has arrived as the vice admiral. To learn more, we’re all going to have to go see the movie! Luckily, I’m pretty sure most of us already have tickets! 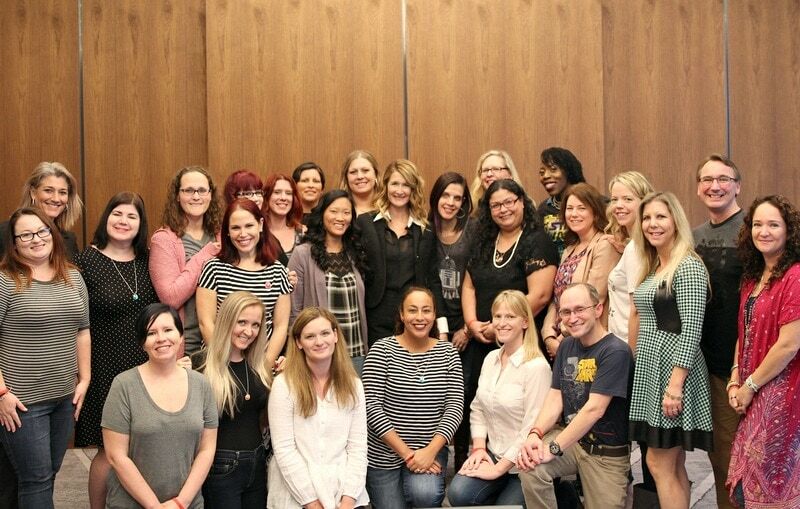 One thing that really stuck with me the most about our Laura Dern Star Wars interview was that she mentioned how she’s excited to help continue the legacy of strong females in the Star Wars universe. Based on our interviews with Gwendoline Christie, Kelly Marie Tran, and Laura Dern, the theme of strong female characters seems to be one we’ll see a lot in STAR WARS: The Last Jedi. As a mom to a daughter, I love hearing this. I like knowing that Carrigan will have some strong female characters she can admire. And in the Star Wars universe there always seems to be amazing diversity, so I look forward to her having a variety of female characters to choose from. I think we’ll all be able to find one that we can relate to in the new movie. During the interview, we chatted about how she got involved in the project. She explained that the director, Rian Johnson, called and asked to have lunch and wanted to talk. They went to lunch and he was describing something he wanted in a character. It wasn’t in the end until he mentioned it was Star Wars. 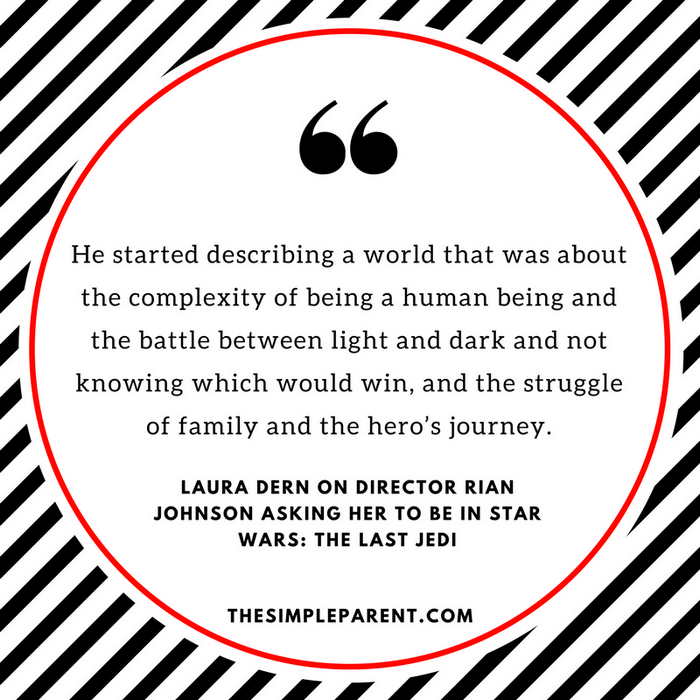 He described a world that was about the complexity of being a human being, the hero’s journey, family. She told us they were all themes that independent filmmakers want to explore which appealed to her. Laura Dern also said that filming the movie felt like she was working on another independent film! Her background includes a lot of independent film. She was raised by actors and taught to see each film as magical. Her parents love character and cinema. She saw the first Star Wars as a child. It was the first time she stood in line to see a movie. She was obsessed with the droids because her father had been in a movie a few years before that featured him in space with three droids. She’s been told those droids were an inspiration for R2-D2. So it was a very personal experience for her. Being on set and seeing R2D2 and these characters we all fell in love with was stunning. All of the actors talk about having to have that fan freak out moment to let it all out so they can then focus. 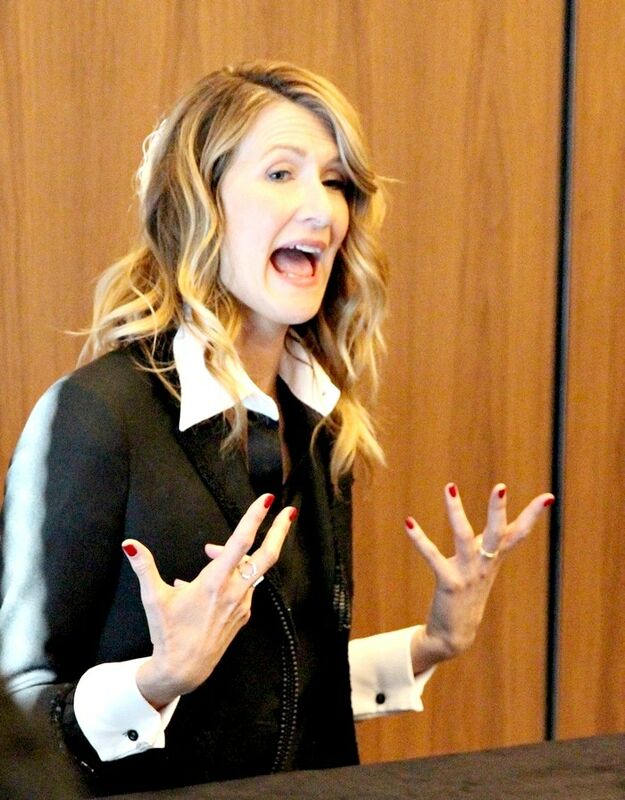 Laura Dern explained that you have your moment, then you have to get over it and get to work. What color lightsaber would Laura Dern have? Have you ever thought about what color lightsaber you would have if you had your own? One of the most interesting questions from all of our interviews was about lightsabers. Each actor we interviewed was asked. So, what color lightsaber would Laura Dern have? Her lightsaber would be a rainbow. She thinks it’s time for a rainbow lightsaber! I have to admit that I would want one too! 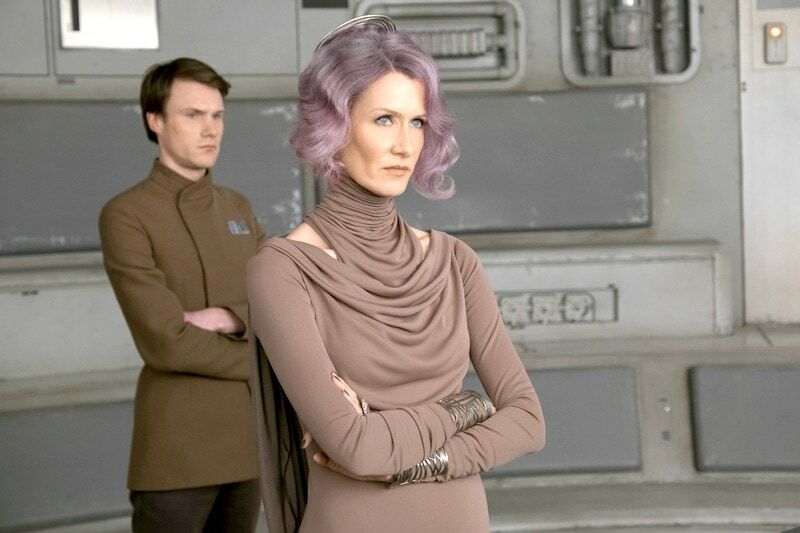 You can see Laura Dern as Vice Admiral Amilyn Holdo in STAR WARS: The Last Jedi. I can’t wait to see her purple hair and really see what another strong female character can do in the Star Wars universe! Plus, I had a great time interviewing her! She was a blalst to chat with! While you wait to see STAR WARS: The Last Jedi, check out all of our Star Wars coverage!